I was lucky enough to get sent some samples of these two gorgeous Arbonne products recently from the lovely Angie Taylor (Yorkshire Angie) and have been raving about them to my friends. 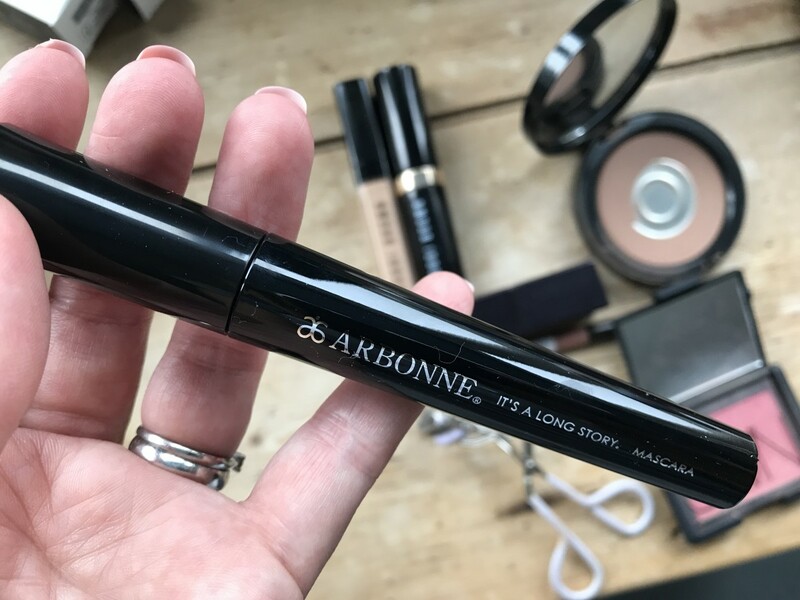 The Arbonne make-up primer and It’s a Long Story Mascara have now become firm everyday essentials in my make-up routine and they’re both products I’ll be buying again and again! The great thing about Arbonne is their ethical and product credentials; their formulas have always been botanical, vegan and cruelty free. Arbonne was developed in Switzerland in 1975, and since came to be hugely popular in the US and then across the globe. 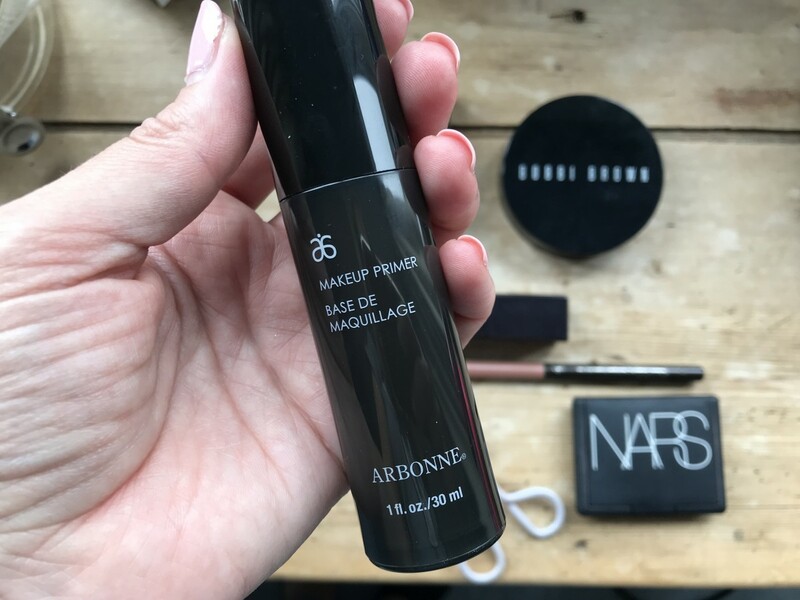 The Arbonne make-up primer has been heavenly to use in this warm weather as it’s so light and easy to go on, you don’t even really need any foundation after applying it. It really smooths your skin out and you can tell instantly once you’ve applied it. I love how it leaves a silky smooth feeling on your skin and helps your make-up stay put all day too. The primer contains green tea leaf and horsetail extracts within the formula help condition skin and Grapeseed oil to help smooth the skin and balance moisture. 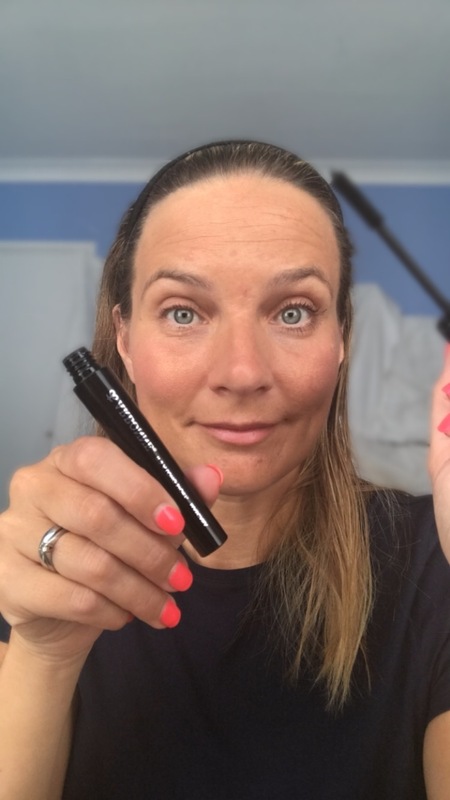 The Arbonne It’s a Long Story Mascara is an award winning Mascara and I can see why. It really glides on and coats your lashes so evenly and lasts all day long. It gives my eyes a wide open look and it’s as easy to take off as it is to apply. It gives my eyelashes a real length as it coats right to the tips without clagging and makes them look really long! Made using Pea and bamboo extracts it’s designed to not only look good but also condition lashes too. Plus it contains pro-vitamin B5, which conditions lashes to help them look soft and smooth. Looks good, does good! Perfect! One eye Mascara, one eye not – can you tell which is which?! It doesn’t seem to run or smudge either, despite sitting pool-side for the Small Boy’s swimming lessons in this roasting heat it stayed firmly in place even after wiping my eyes more than a few times. I really love it! It’s going to be my go-to mascara from here on in for a long time to come! 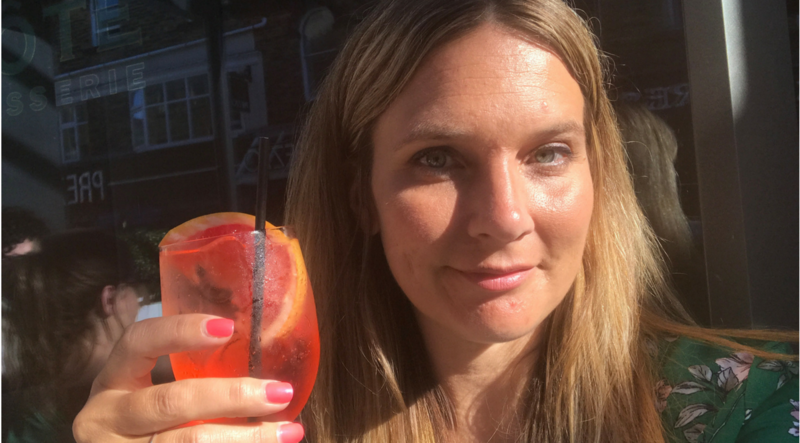 I’m thrilled I came to discover the Arbonne brand, it’s certainly got a lot going for it and there are a host of products to choose from across skincare, nutrition and make-up! 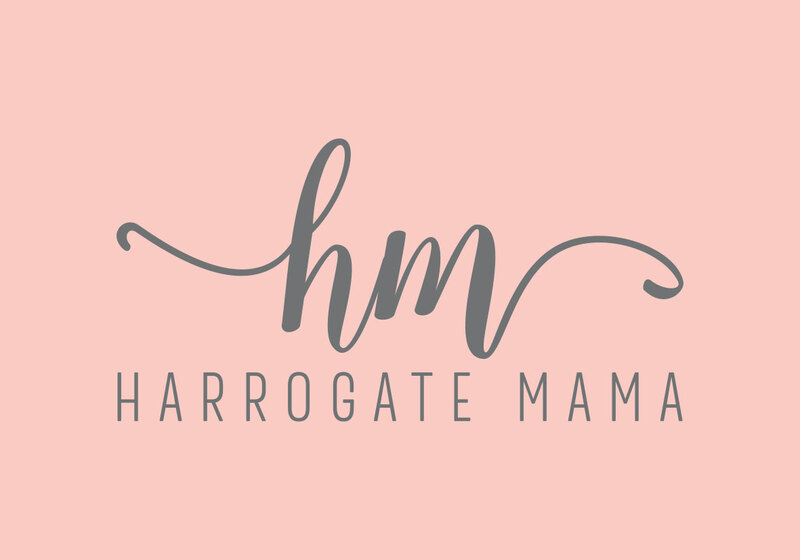 I shared my make-up routine over on Instagram IG TV so if you’d like to see how the products go on and what a difference they make to my morning routine you can check it out over on my Instagram at www.Instagram.com/HarrogateMama (@HarrogateMama) this is the link directly to the Get Ready With Me featuring Arbonne. 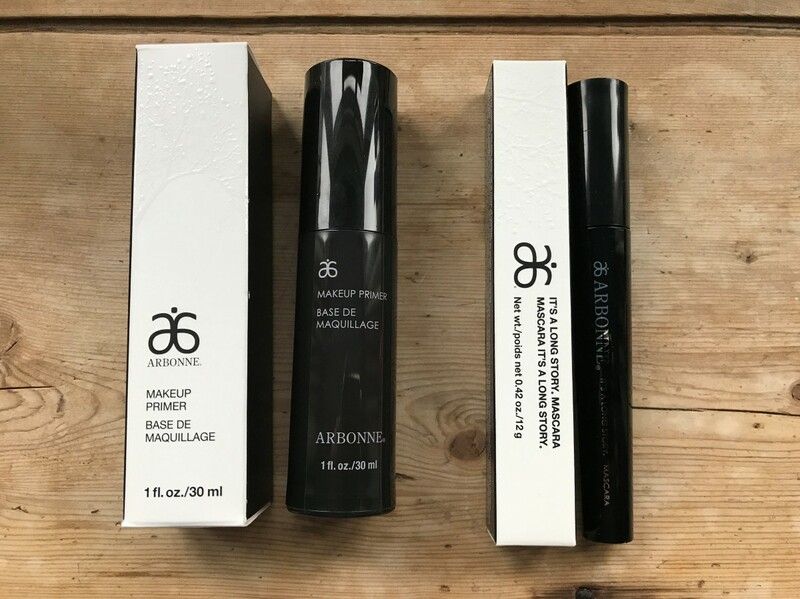 If you’d like to get hold of either the Arbonne It’s A Long Story Mascara or Make-Up Primer you can order online direct from Angie Taylor or follow her on Instagram at @YorkshireAngie. Disclaimer: Angie sent me these products to review with her compliments.